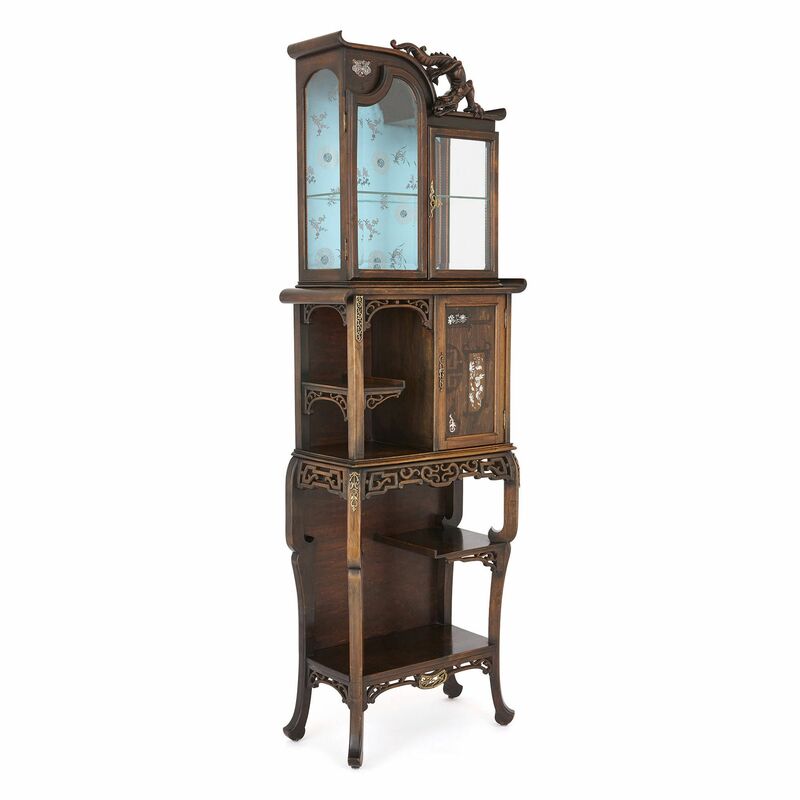 This vitrine is an exquisite piece of Far Eastern style design, which is clearly inspired by the work of the 19th-Century French cabinetmaker, Gabriel Viardot. The hardwood vitrine is supported on four legs, and is roughly divided into three tiers. It features a lower open compartment, with a half-length shelf. The lower compartment’s apron, shelf and top are decorated with decorative openwork designs. The apron and shoulders are mounted with pierced gilt metal stylised foliate motifs. Topping the lower tier is a second storage space, the left side of which is open and the right closed behind a lockable door. Like the lower level, the left compartment features a half-length shelf, ornamental openwork, and a pierced gilt metal mount. 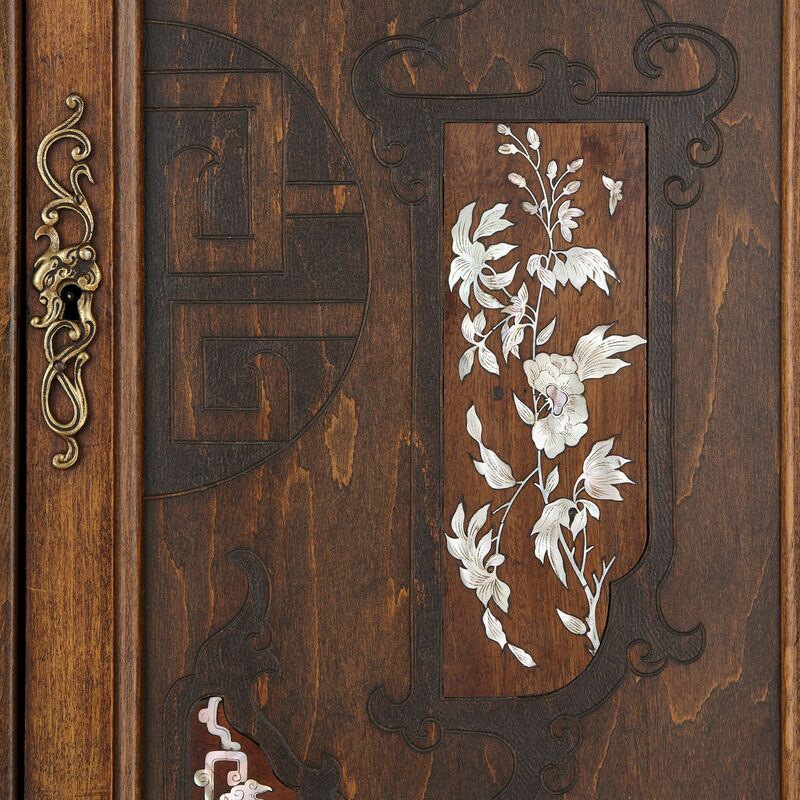 The door on the right side is decorated with marquetry work and inlaid mother-of-pearl floral patterns. 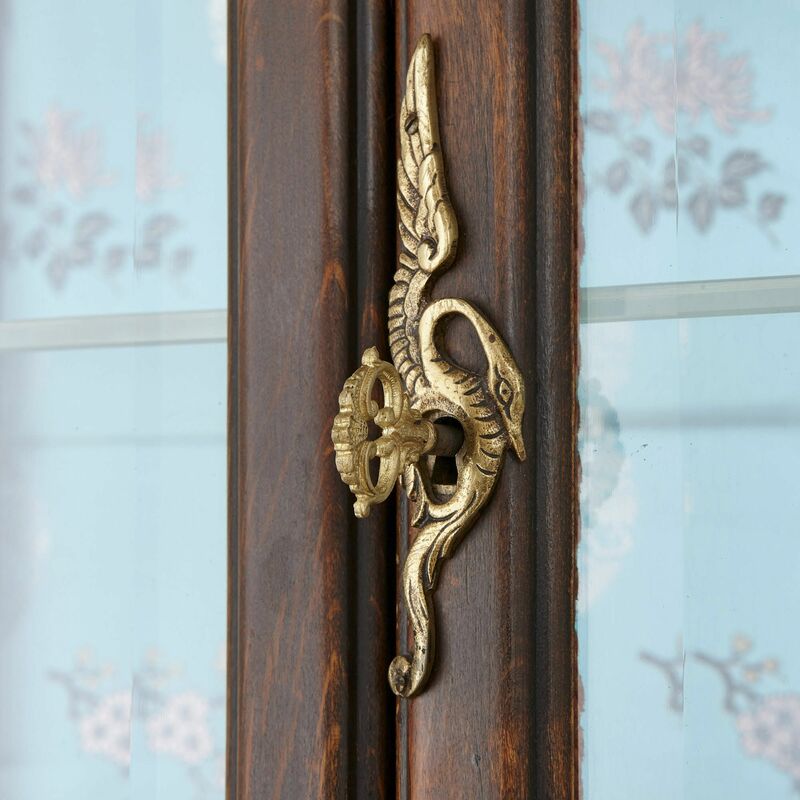 The door features a gilt metal escutcheon, which is cast as scrolling foliage. This central compartment is surmounted by a shaped roof, which curls up at one end and down at the other. The third level is a cabinet, which is ‘L’ shaped with a curved left top. 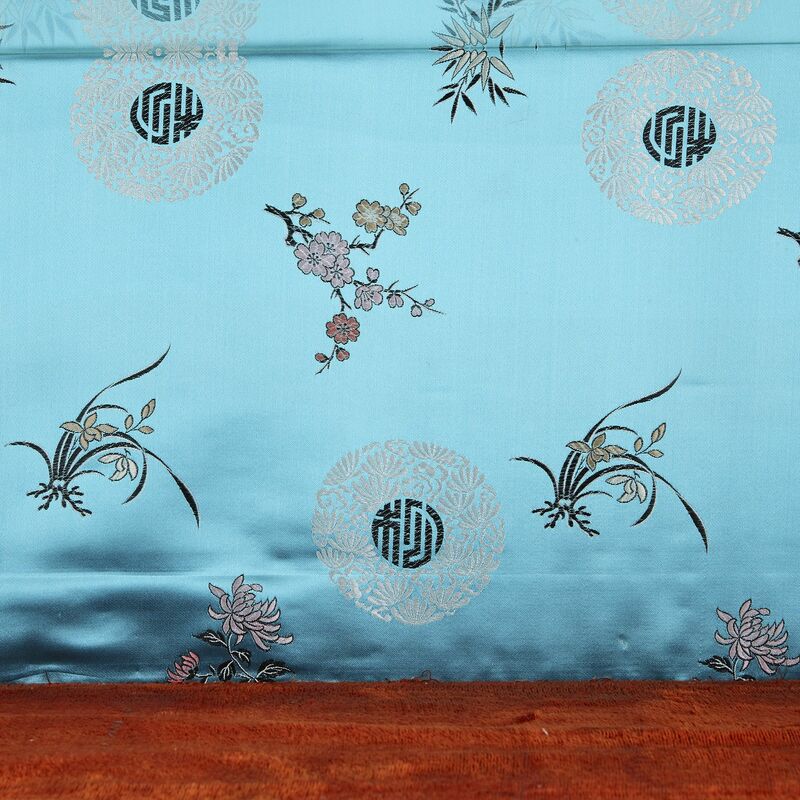 The interior of the cabinet is lined with bright blue fabric, decorated with Far Eastern floral and geometric motifs. This space is contained behind lockable bevelled glass doors, the keyhole decorated with a gilt metal crane-shaped escutcheon. 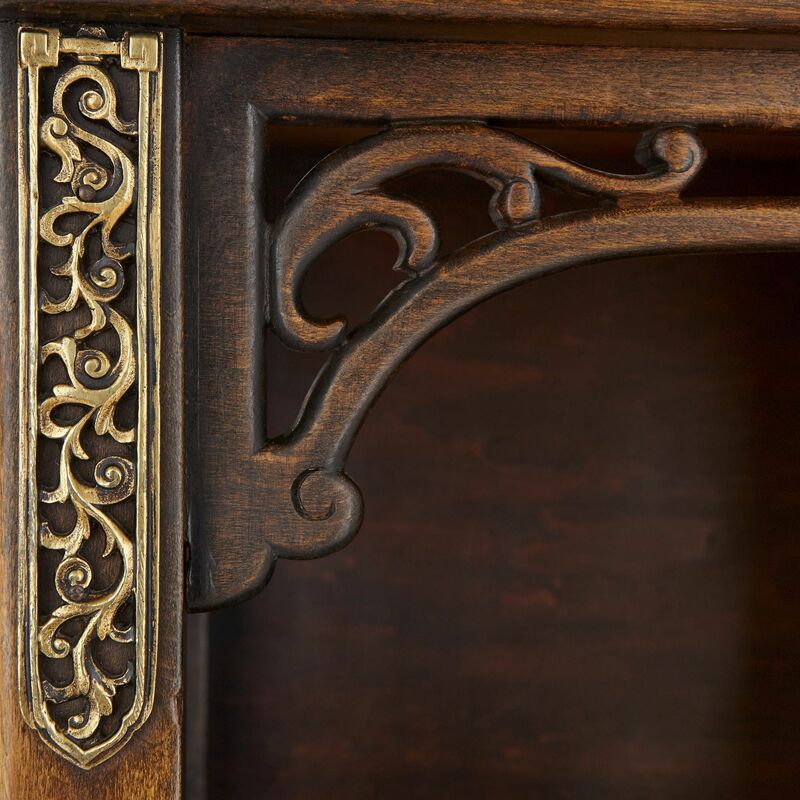 The upper left corner of the cabinet is decorated with a mother-of-pearl geometric motif. A hardwood sculpture of a dragon tops the right side of the cabinet roof. 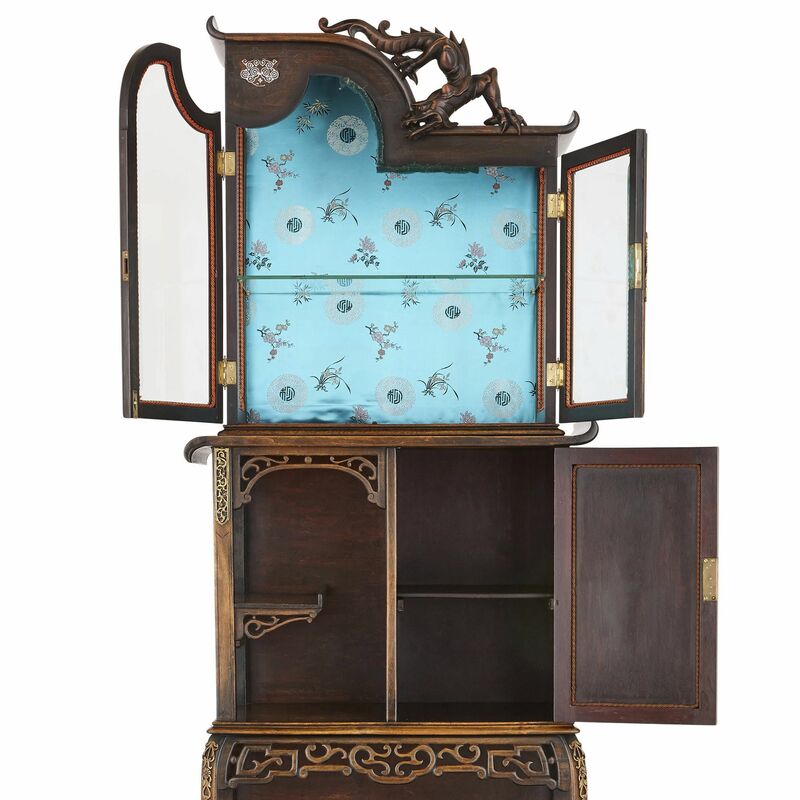 This vitrine is clearly inspired by the Far Eastern style designs of the cabinetmaker, Gabriel Viardot (1830-1906). 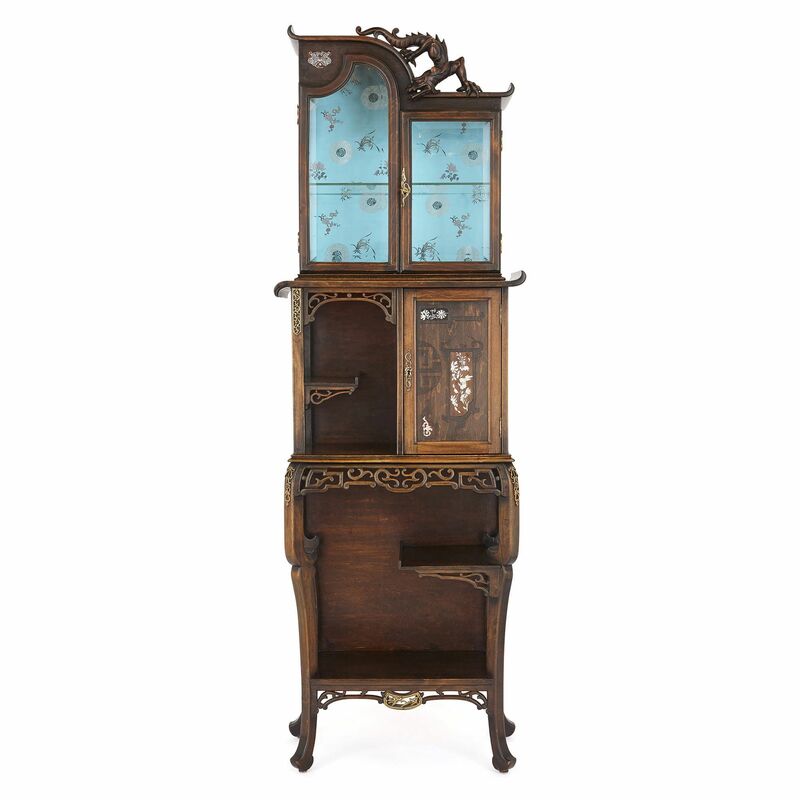 Viardot helped to popularise the Chinese and Japanese style in French 19th Century furniture design. His work was highly fashionable and sought-after by an elite European clientele.